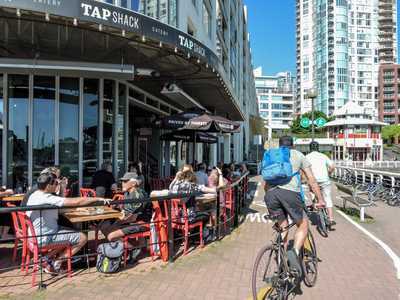 TAPshack is part of the Tap & Barrel family and is a smaller footprint concept with all the same values and philosophies. If working outdoors on a sun-drenched patio sounds like your ideal summer, look no further. 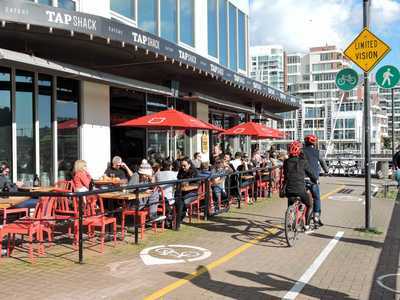 Our location boasts a waterfront patio directly on the False Creek Seawall (north side). • Comfortable Dress Code - wear sneakers, jeans, and tees! We are looking for energetic and hardworking individuals with a strong appreciation for guest service. An ideal team member is passionate about local food and beverages, but ultimately, passionate about people. If this sounds like you, we invite you to join our tribe!